Happy Monday, lovelies! To celebrate summer winding down, I'm running a sale in my shop this week ~ just use code "SUMMER10" at Checkout to receive 10% off all items!!! Just had to share this fun shot of a motorcycle-loving bride and groom! 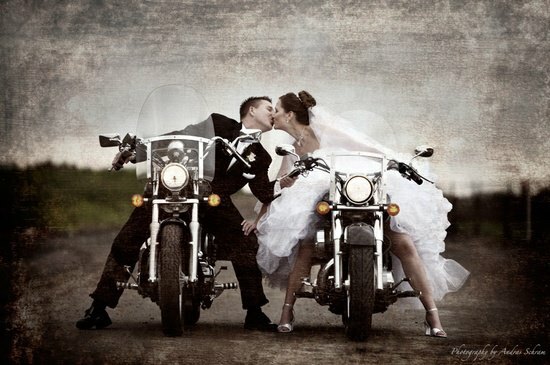 I adore the contrast between their fancy wedding gown and tux and their bikes! Photo by Andras Schram.